Charles Dickens had three professional careers: novelist, journalist and public Reader. That third career has seldom been given the serious attention it deserved. For the last 12 years of his life he toured Britain and America giving 2-hour readings from his work to audiences of over two thousand. Charles Dickens had three professional careers: novelist, journalist and public Reader. That third career has seldom been given the serious attention it deserved. For the last 12 years of his life he toured Britain and America giving 2-hour readings from his work to audiences of over two thousand. These readings were highly dramatic performances in which Dickens's great gift for mimicry enabled him to represent the looks and voices of his characters, to the point where audiences forgot they were watching Charles Dickens. His novels came alive on the platform: at the end of a reading, it seemed to many that a whole society had broken up rather than that a solitary recitalist had concluded. 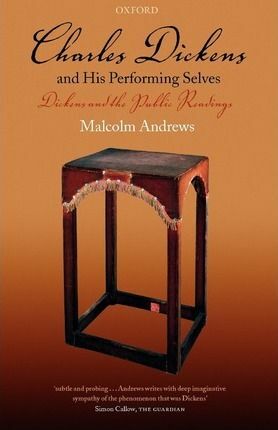 This book tries to recreate, in greater detail than hitherto, the sense of how those readings were performed and how they were received, how Dickens devised his stage set and tailored his books to make them into performance scripts, how he conducted his reading tours all around the country and developed a quite extraordinary rapport with his listeners.